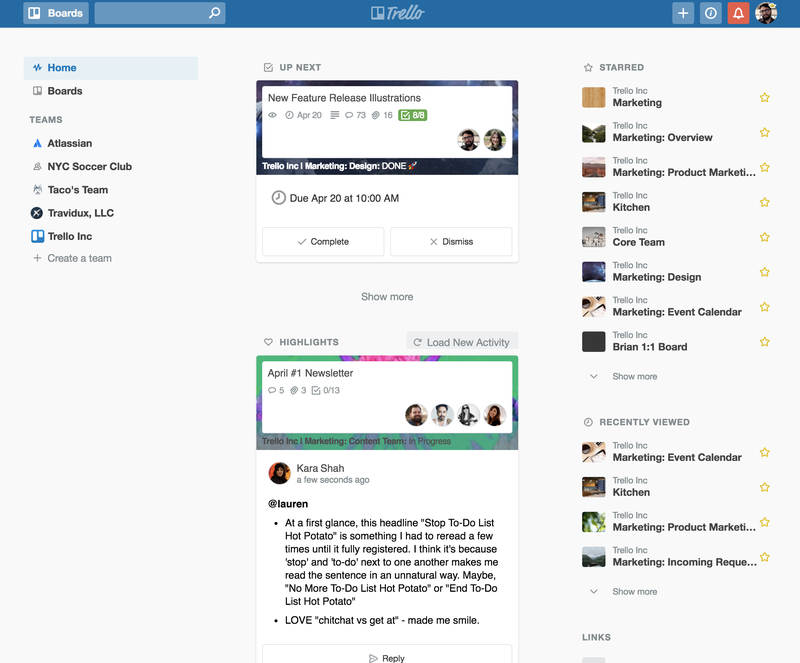 Trello, the popular card-based project management service owned by Atlassian, is getting a bit of a revamp today. Traditionally, Trello was always about its cards and boards — and nothing else. But that also meant that power users often had to wade through a number of boards to figure out what they should focus on next. Now, Trello is getting a personalized newsfeed that will highlight activity from your Trello teams. The newsfeed will include sections like “Up Next” and “Highlights” to give you a better overview of what’s happening inside your projects. The company tells me that the home feed is organized by due dates, card activities that may need your immediate attention and “everything that has happened across boards you watch while you were gone.” You can also filter this feeds by team.